I have joined Vision following a career of over 30 years with HSBC, which included 20 years of providing regulated financial advice, but with particular expertise in helping and advising high net worth clients. This has involved creating portfolio management and estate planning strategies, which can often be complex. 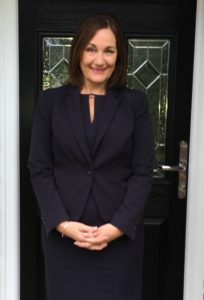 In addition, my time with HSBC has also allowed me to gain extensive experience in banking as well as coaching and developing others, which has also given me a much broader range of knowledge and skills. I decided to join Vision because of their philosophy and values and I know that their practices will allow me to give my clients the time they need and deserve to ensure that they are at the centre of all I do. Integral to my business is building long term trusted relationships with my clients, so I can understand what is really important to them and their families both now and in the future. My job and purpose is to help them achieve their financial goals and grow their wealth by putting in place robust financial planning, but also crucially ensuring that plans are in place to protect what is important to them. Essentially this involves undertaking comprehensive financial reviews and regular ongoing reviews. The ability to offer truly independent financial advice provides me with the opportunity to make sure my clients are offered ‘best of market’ financial solutions, so they can feel confident and reassured about any advice provided. or by mobile on 07702 325449. I will be delighted to speak with you. I have been very impressed by Victoria’s diligence and professionalism. I feel confident that she has given me good advice and will give good oversight to my investment.